One of my favourite Star Wars characters has to be Yoda. 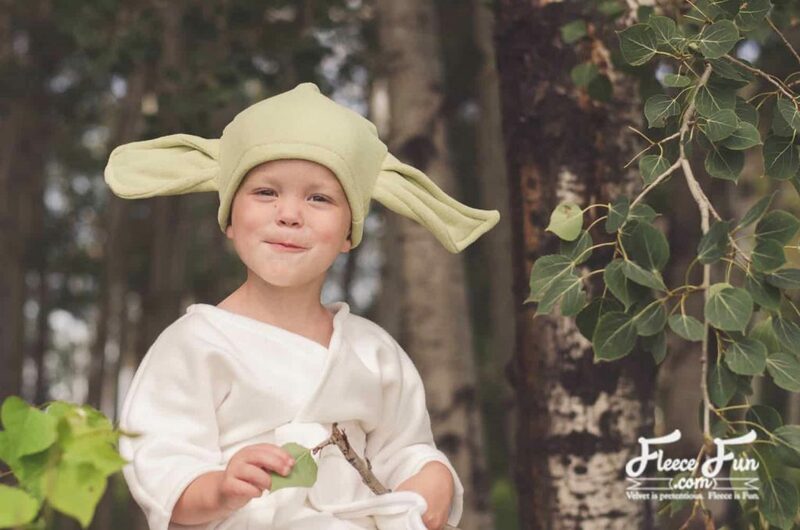 I’ve created this adorable Yoda costume pattern so that your toddler can get in on the fun. 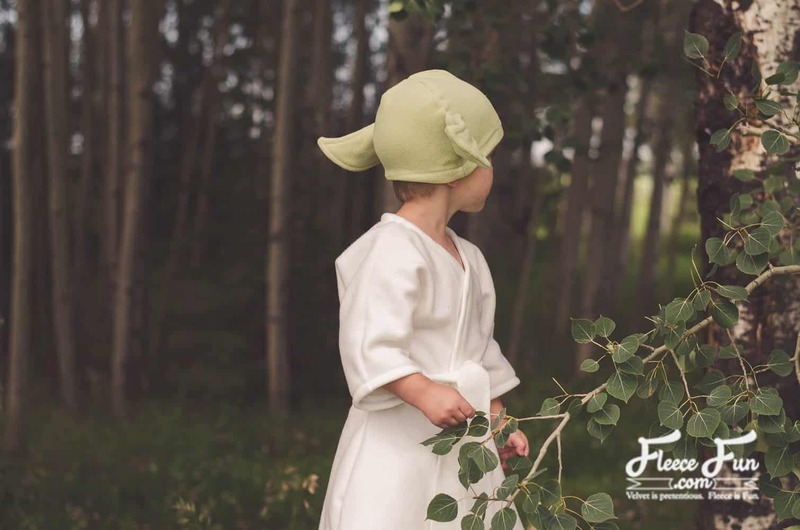 The hat pattern can be sewn to fit any size from baby to adult. 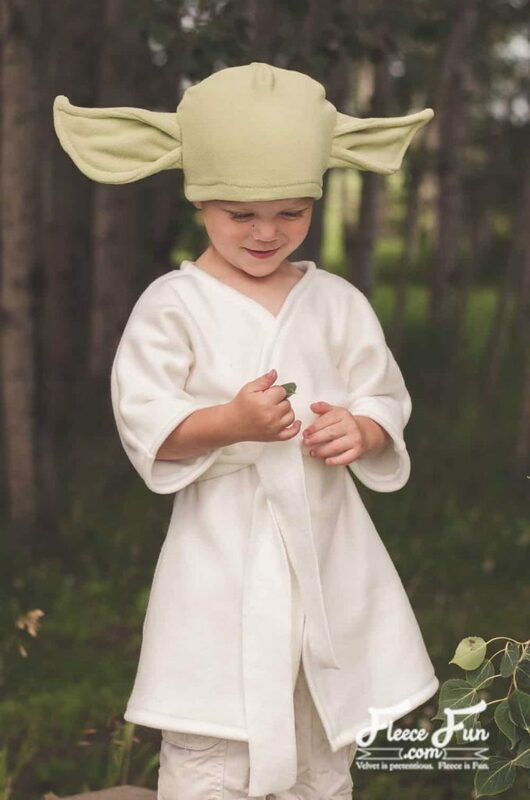 The robe is in a single size, but will fit children 1-3 years. The model in the picture typically wears a size 3. Both the hat and the robe are sewn out of fleece. 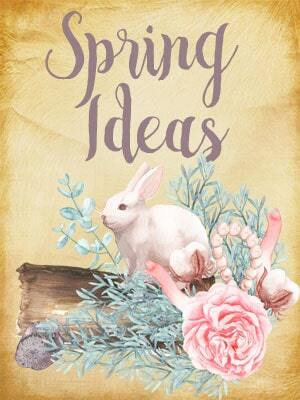 The hat is a simple design sewn from only 2 pieces and the ears are inserted in the side seam. Quilt batting inside the ears gives them shape and they are sturdy enough to stay up on their own. 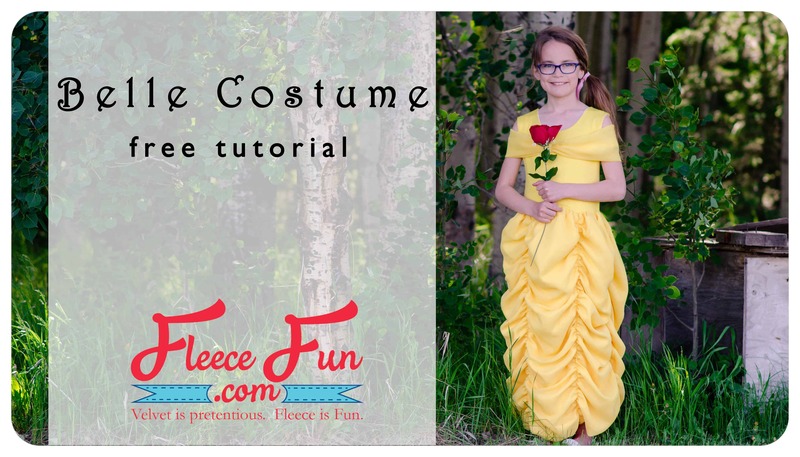 The robe is also a simple sew. The sleeves are cut in one piece with the body, so there are only 2 pattern pieces to cut out. You can tie the robe at the waist with a strip of fleece, or use a store bought belt to finish the look. 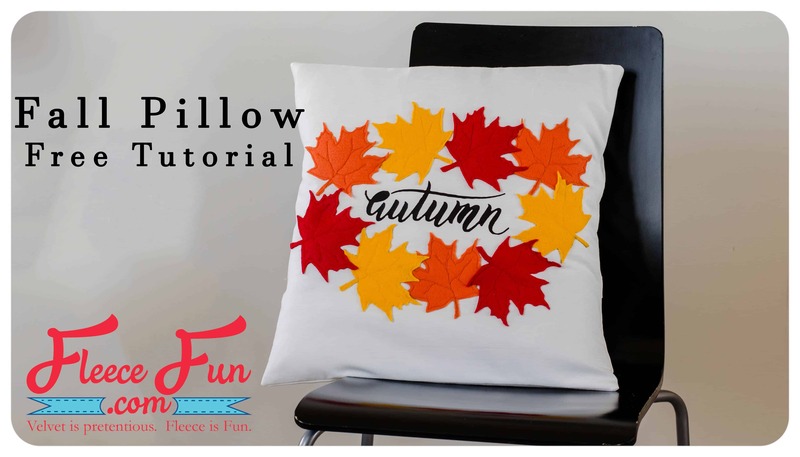 To get your free printable pattern and tutorial, click here. I love this! have a question. 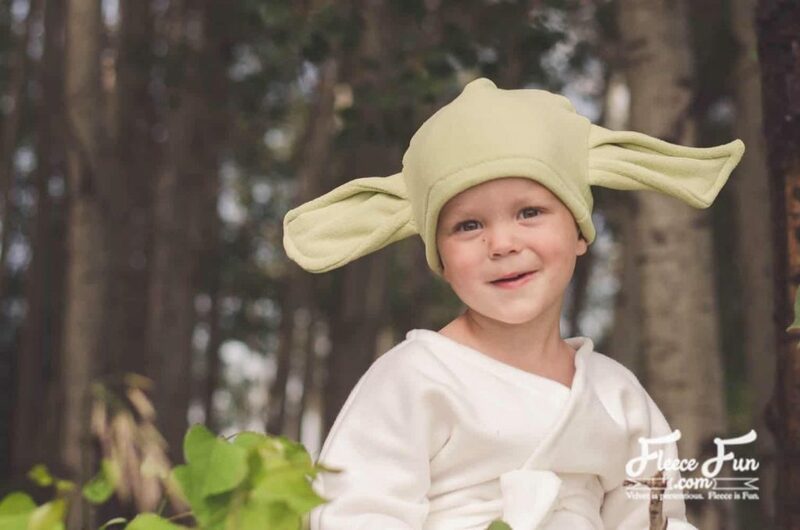 my daughter is pregnant and her husband is a huge star wars fan, especially Yoda! How do I make this hat big enough for an adult? 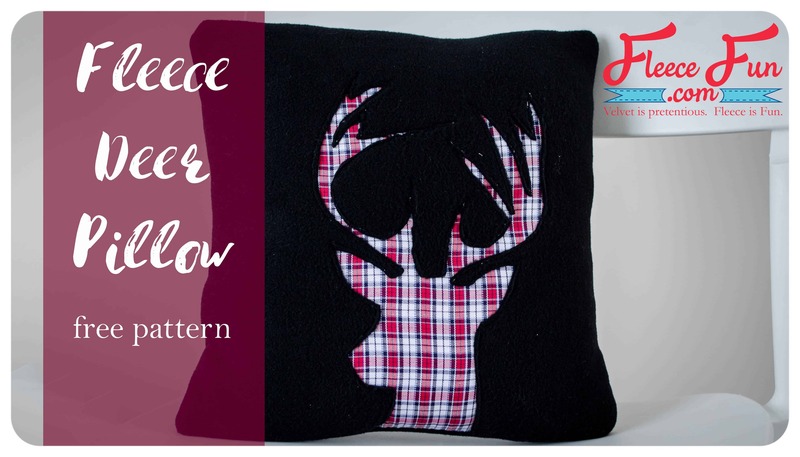 I want to make it for him for the shower and if the baby is a boy one for the baby. thanks so much! wish me luck on it turing out as cute as yours! 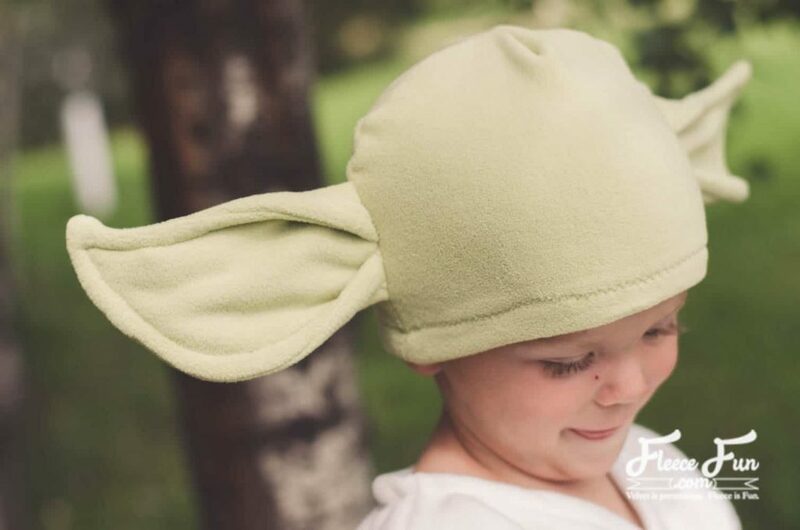 What is the seam allowance for the yoda hat and ears? 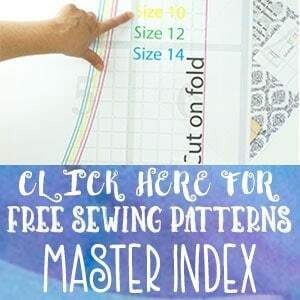 Plus, thank you so much for sharing these patterns! I found the hat pattern but where do I get the ear pattern?